This is a superb arcade style commercial machine with a basketball theme! 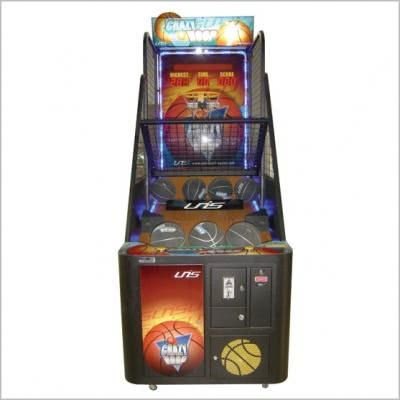 Just like you see at the arcade - a commercial standard hoop shooting basketball game, combining durable and strong build quality with addictive gameplay. Crazy Hoops Basketball - the ultimate tournament basketball machine! When Crazy Hoops was originally released to the arcade and amusement trade industry it was a huge hit - indeed you may still find the game in many family amusement centres, arcade venues and cinema foyers.